LaRouche associate Graham Lowry's book brings to light the visions, strategy, and accomplishments of those who paved the way for the American Revolution, long before the Declaration of Independence. It began in the Massachusetts Bay Colony in 1630 as an international conspiracy to found a continental republic. 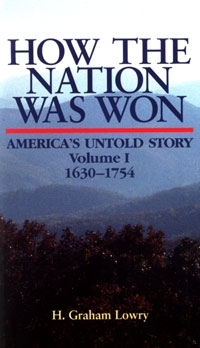 This book is must reading for those who are committed to learning the truth about the history of the United States. Published by Executive Intelligence Review, Washington, D.C.